We provide a full Electric Gate Repair and Maintenance service to both Domestic and Commercial Gates as well as standard Swing Gates, Sliding Gates, Security Barriers, Rising Bollards and Garage Doors. 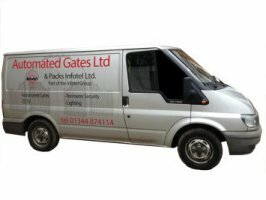 All our Electric Gate engineers are knowledgeable about every aspect of Gate Automation and Gate Repairs. Our Electric Gate Repair services are primarily focused on the South West of London area, from High Wycombe in the north to Southampton in the south and Reading in the West to Redhill in the East. We also cover parts of inner London including the Kingston, Richmond and Wimbledon areas. If your property is just outside our coverage area please still Contact Us as the map below is just a general indicator. For more information on the repair services provided in your area click on the nearest village or town to you below or visit our Gate Repair/Maintenance page.